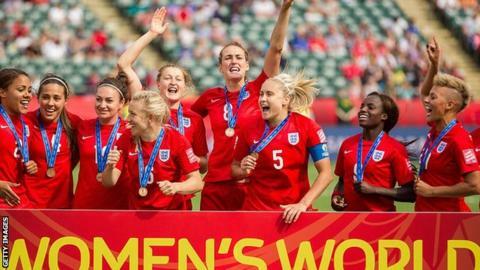 England's women will face World Cup winners USA, European champions Germany and France in a new four-team event. The Lionesses, ranked fifth in the world, will take on the top three teams on the planet in the SheBelieves Cup, in the USA this March. The move means England will not compete in the Cyprus Cup, which they won last year by beating Canada 1-0. "I am very pleased we are taking part in this tournament," said England head coach Mark Sampson. "We have been working hard now for a number of months to add more matches against top-tier nations. "The opportunity to compete against the three best teams in the world is a crucial step in providing more opportunities for the team to develop."